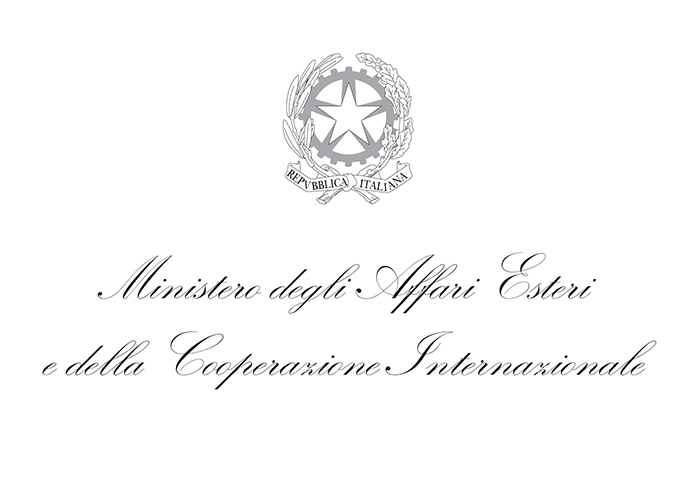 Green Code Srl is an innovative start-up from Trentino-Alto Adige (Italy), operating in the fields of sustainable technologies and cleantech. Combining tradition with biotechnologies and environmental engineering, Green Code creates novel solutions to mitigate the human impact on the environment. We develop innovative and green strategies to decrease waste, optimize productive processes, and reduce consumption of natural resources. With DEMETRA, Green Code is tackling the issue of food waste in the fruits and vegetables chain, along with its carbon footprint and social impact. At the same time, we make the storage process of these goods more sustainable and affordable. Green Code was awarded with the first prize, green category, at the IX edition of the D2T StartCup, with the first prize at the Everis National Awards 2017, and with the first prize, “under 35” category, at the UNIDO International Awards 2017. 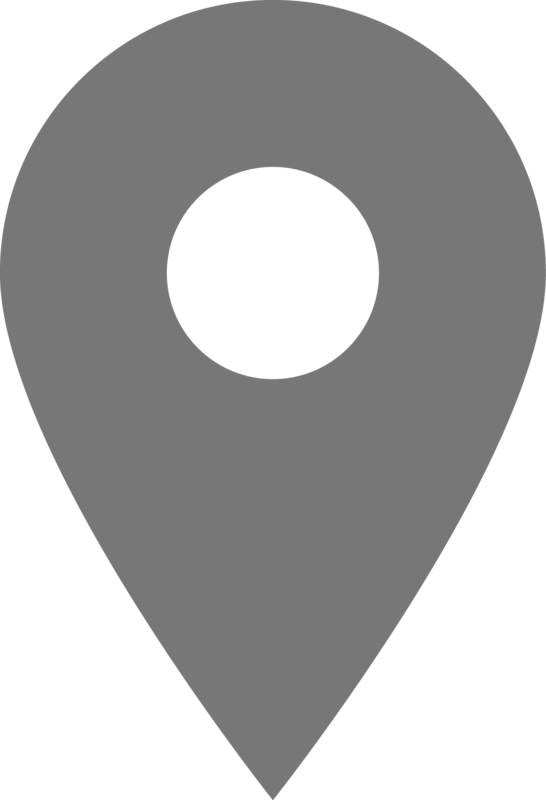 As of July 2016, Green Code Srl is an incubating start-up at Progetto Manifattura (Rovereto, Italy). Half of the world harvest is wasted every year, as plants and fruits are highly susceptible to pathogens and difficult to store. 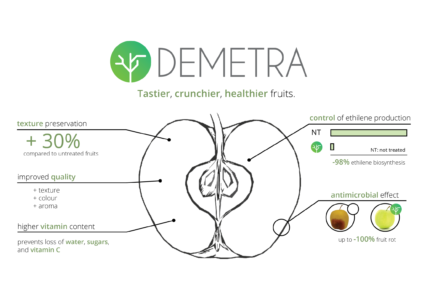 DEMETRA is a natural, post-harvest treatment for fruit preservation, to prevent food waste and extend the shelf life of fresh products. DEMETRA inhibits fruit ripening, enhancing the fruit’s innate resistance against pathogens and stresses. It directly prevents food waste, while enhancing the quality of the fruits and mitigating the carbon footprint and energetic costs of cold storage. Inspired by nature, the formulation of DEMETRA is 100% composed of plant extracts, and allows to control the fruit in the same way that plants do. All its ingredients are safe for humans and the environment, and are also compatible with organic agriculture. DEMETRA is extremely versatile and easy to use. As such, it is suitable for post-harvest treatment and enhancement of fruit conservability in developing countries and rural areas, in unfavorable climate conditions and in absence of adequate storage technologies and infrastructures. Therefore, DEMETRA increases food availability and healthiness, and eases food distribution where it is most needed. Being solely composed of natural products, DEMETRA replaces chemically synthesized treatments. Therefore, it decreases the environmental impact of agriculture, and improves the quality of life in those areas where appropriate soil and water purification treatments are unavailable. DEMETRA can be used on a broad group of fruit, including coconut, pineapple, mango, papaya, date, and all climacteric fruit growing in temperate and tropical regions.